Tomorrow, the 30th April 2014 is the last day of this year’s edition of the Malta International Fireworks Festival. A number of Maltese and foreign fireworks factories will be participating in this competitive event, presenting spectacular pyrotechnic displays synchronised to music. The festival forms part of the anniversary celebrations of Malta’s accession to the European Union as it coincides with 10 years since Malta joined the European Union. Fireworks in Malta have a long tradition which goes back to the time of the Order of the Knights of St. John. The feu de joie using gun salutes, the musketterija firing of muskets, the solfarelli d’aria, St. Catherine’s wheels (irdieden) and other forms of fireworks originated from explosives that were lit off from mortars (maskli) as an expression of rejoicing. Special occasions when such festivities were held were: The election of a Grand Master of the Order of the Knights of St. John; the election of a Pope who was the overall protector and ruler of the Order; the birth of a prince from a friendly European state or else to mark an important victory over the Ottoman military might. Fireworks developed into a craft when the Maltese started to celebrate the events connected to their British rulers in the 19th and 20th centuries. This centuries-old tradition is still very much alive in the crowded calendar of village festas that take place all over Malta and Gozo, especially in the summer months. The Grand Hotel Excelsior offers you great insight on things to do in Malta. Visit the website of this superior 5 star hotel in Malta and stay updated with events taking place around Malta. 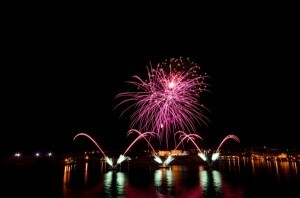 For more details about this event kindly visit: http://www.maltafireworksfestival.com. This entry was posted in About Malta, Excelsior Hotel Malta, Holidays in Malta, Luxury Malta Hotel, Malta, Malta Attractions, Malta Events, Malta Sightseeing, Things to do in Malta, Valletta and tagged fireworks festival, fireworks in malta, malta events, pyrotechnic displays on April 29, 2014 by Denise Camilleri. Mdina was inhabited and possibly first fortified by the Phoenicians around 700 BCE. Phoenicians called it Maleth. The region benefits from its strategic location on one of the island’s highest points and at maximum distance from the sea. Under the Roman Empire, Malta became a Municipium and the Roman Governor built his palace in Mdina. Tradition holds that the Apostle St. Paul resided in the city after his historical shipwreck on the islands. Much of its present architecture reflects the Fatimid Period which began in 999 AD until the Norman conquest of Malta in 1091 AD. The Normans surrounded the city with thick defensive fortifications and widened the moat. The city was also separated it from its nearest town, Rabat. Malta passed to the Order of Knights of the Hospitallier of St John of Jerusalem in 1530 AD. Mdina hosted the public ceremony in which each Grand Master swore an oath to protect the Maltese Islands and the rights of his subjects. A strong earthquake in 1693 AD led to the introduction of Baroque design within the cityscape. The Knights of Malta rebuilt the cathedral, to the designs of Maltese architect Lorenzo Gafa. Palazzo Falzon, the Magisterial Palace and major restoration works are other projects undertaken by the Knights. 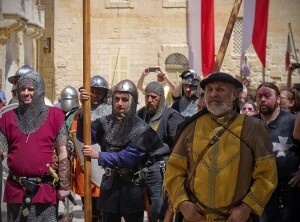 The Medieval Mdina Festival will be organised for the fifth consecutive year in the streets of Mdina. The Festival will be held between the 3rd and 4th May 2014. 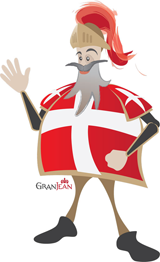 During this two day event there will be re-enactments by foreign and local groups, Medieval Music, Sbandieratori, Illusionist, Jester, Falconry and birds of prey, Lectures, Concerts, Food & Drinks, Medieval Market, Medieval Kitchen and Children’s Area. like the Town Crier, a Slave Market, a re-enactment of a Medieval Kitchen, Sword Fighting, Archery, Medieval Tavern, Magic Shows, Live Music, Birds of Prey flights, Parades, Flag Throwing shows, and spontaneous re-enactments. The festival serves as a cultural exchange between local talents and foreign groups, disseminating the cultural heritage of the Medieval Times. It is also a good educational exercise to teach both children and adults the history of the City of Mdina. During the festival all the Tourist Attractions extend their opening hours and offer special reduced prices. 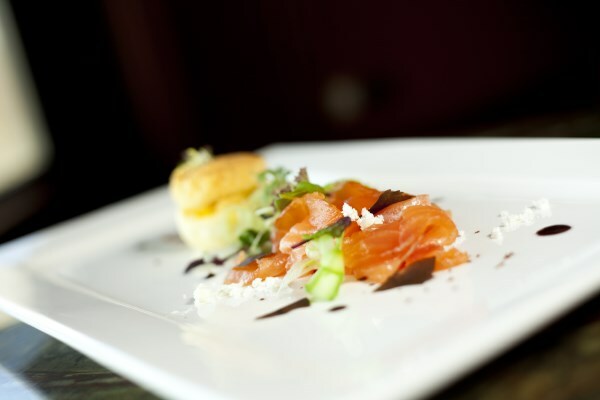 Food and drinks will be in abundance during the Festival and a good number of outlets will offer medieval food on in their menus during those days. As it is the smallest Local Council on the Island, the Mdina Local Council requires a lot of support to organise such a significant event. Indeed the festival is supported by a number of Goverment Departments; residents and the local Business Community, particularly the SMEs present in Mdina.This assistance takes several forms, ranging from advertising to direct participation. Indeed, some companies set up stands exhibiting their products, and are directly involved in exchanges with similar international exhibitors. This gives the festival another dimension, that of a promoter for exchange of ideas amongst other business communities. This entry was posted in About Malta, Excelsior Hotel Malta, Holidays in Malta, Luxury Malta Hotel, Malta Attractions, Malta Events, Malta Sightseeing, Maltese History, Maltese Traditions, Things to do in Malta and tagged malta events, Mdina, mdina festival, rabat malta, st paul shipwreck on April 22, 2014 by Denise Camilleri. Eating fish provides your body with biotin, a B vitamin that produces fatty acids and metabolizes amino acids (the building blocks of protein). On the other hand a deficiency of biotin can cause scaly skin. Omega-3 fatty acids such as oily fish, chia seeds and walnuts help maintain cell membranes by protecting the skin and providing it with moisture. Filling your meals with colorful fruits and vegetables provides your body with lots of water, and thus keep your skin and other cells adequately hydrated. In fact a diet rich in vitamin A, like sweet potatoes, carrots, spinach has proven to enhance skin color and appearance by increasing its yellowness and redness. Almonds are rich in vitamin E and thus can also help you maintain healthy skin. These little seeds provide an excellent source of vitamin E and help protect the skin from damage caused by free radicals in the environment and in the body. Processed foods such as pasta, white rice and also white flour can increase inflammation and cause acne flair-ups. In your daily diet replace pasta, white bread and white rice with complex carbohydrates such as barley, quinoa and brown rice. These food types are all lower on the glycemic index. Although juices are often thought of as high in sugar content and with no main benefit to one’s health, orange juice provides fluids to keep you hydrated and Vitamin C, which works as an antioxidant to protect skin and other cells from damage caused by free radicals in the environment and in the body. Vitamin C also helps create collagen, the body’s main structural protein. Eating some of these foods will help you look and feel better. Enjoy some extra health and wellness benefits by visiting Le Grand Spa at the Grand Hotel Excelsior Malta and pamper yourself with one of our spa treatments. Let Our top Malta Spa Team help you enjoy this journey of relaxation and wellness. This entry was posted in About Malta, Dining in Malta, Excelsior Hotel Malta, Fine Dining in Malta, Holidays in Malta, Le Grand Spa Malta, Luxury Malta Hotel, Malta Restaurants, Spa and Wellness Malta, Spa Malta and tagged 5 star hotel in malta, health, healthy food, look good, restaurants in Malta, wellness on April 17, 2014 by Denise Camilleri.